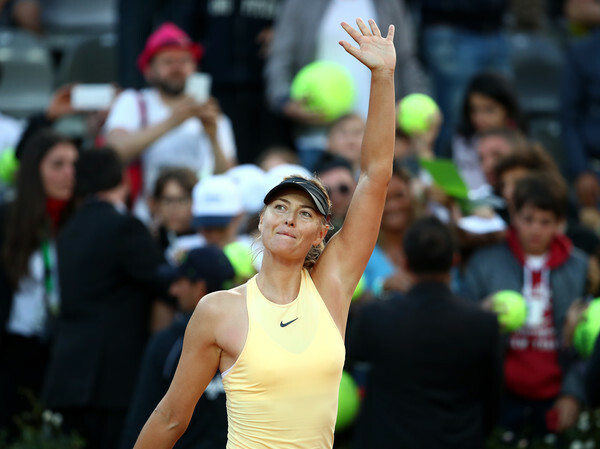 Simona Halep and Maria Sharapova will contest a repeat of the 2014 Roland Garros final in the semfiinals of the 2018 Internazionali BNL D'Italia. 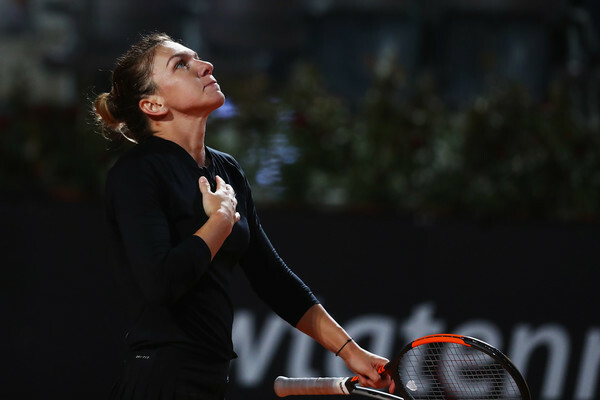 Simona Halep and Maria Sharapova will face off in a blockbuster semifinal clash at the Internazionali BNL D’Italia, with the winner earning a place in the final here in Rome. Halep, who is the defending finalist, has looked impressive in the entirety of the year and comes into the match as the huge favourite despite the lopsided head-to-head record against the five-time Grand Slam champion. 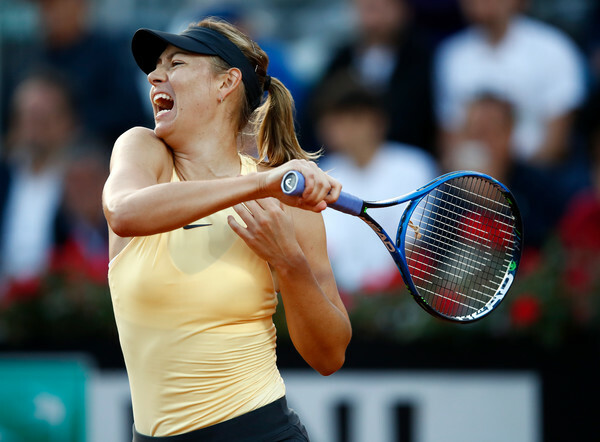 Sharapova showed signs of resurgence and progressed to her second consecutive quarterfinal of the year having broken a four-match losing streak last week in Madrid. This match will be played at 5 pm local time, after the conclusion of yet another blockbuster and mouth-watering meeting between ATP giants Rafael Nadal and Novak Djokovic. Halep will be fighting to reach her third WTA final of the year while Sharapova looks to vie for a maiden title this year. Halep was handed an extremely tough draw but surprisingly handled it with ease. The Romanian was due to face either Victoria Azarenka or Naomi Osaka in her opening-round match and she had an excellent start to her Rome campaign with a commanding and stunning 6-1, 6-0 win over the Japanese, winning 12 consecutive games to close out the win. 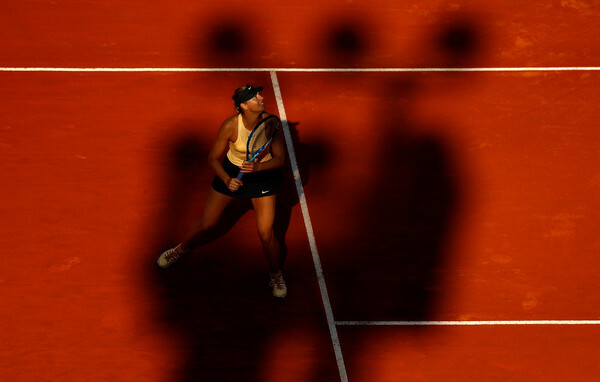 Her third-round opponent Madison Keys withdrew hours before their scheduled encounter due to a rib injury, gifting Halep a free pass into the quarterfinals, where she faced world number seven Caroline Garcia. There, she stormed past the erratic Frenchwoman in straight sets, triumphing with a straightforward 6-2, 6-3 scoreline to set up this meeting. Halep had only lost six games en route to the last four, losing her serve only thrice, and also successfully defended her top spot with her run this week. Sharapova had a tricky draw as well but produced some excellent performance to maneuver her way through it. She ousted world number 18 Ashleigh Barty in a thrilling opening-round encounter, and her health became a huge worry once more after she was seen to continuously rub her left forearm, which has a storied history of injuries, during the match. Nonetheless, she returned to defeat nemesis Dominika Cibulkova on the next day, recovering from a set down to clinch the impressive win. Her first and only straight-sets win of the week came over Daria Gavrilova, who has posted some incredible results in her appearances in Rome through the previous years. This set her up for a blockbuster quarterfinal meeting with Jelena Ostapenko and it truly lived up to the hype it received — with Sharapova retrieving from a set and a break down to defeat the world number five for her first top-10 win of 2018 after a marathon three-hours and 10-minutes of play. With the run, Sharapova is projected to make her return to the top-30 for the first time since her comeback. Sharapova leads their lopsided head-to-head history with a formidable and stunning 7-1 record. The Russian had won seven consecutive meetings before Halep claimed her first win over the former world number one in Beijing, triumphing with an unbelievable 6-2, 6-2 scoreline en route to grabbing the top spot later on that week. They met twice on clay, and coincidentally in the biggest finals of the entire clay-court season. Sharapova triumphed on both occasions, having ousted the Romanian in the Mutua Madrid Open final and overpowering her in the Roland Garros championship match back in 2014, with both matches going the distance. Match Analysis: Who will be more consistent? Their last meeting in Beijing saw Halep stun Sharapova with a world-class display of controlled aggression. Halep completely overpowered an erratic Sharapova while the Romanian remained solid throughout the encounter. Hence, for Sharapova to have a chance of triumphing today, she needs to reduce the number of unforced errors she has been committing with the aggressive mindset of keeping Halep at bay. Whereas, Halep’s game, which looked impressive throughout the week, has been slowly turning more aggressive but she'd look to pounce on Sharapova’s nervy and vulnerable second serves. The world number one’s excellent movement around the court will also prevent Sharapova from dominating with her drop shots. It will be a battle of consistency especially on Sharapova’s part, whose game could go on a hot or cold streak without prior notice. The crucial factor in this match-up will be fitness. Halep has only spent two hours and 13-minutes on the court this week, while Sharapova was on the court for a bulking nine-hours and 48-minutes. It seemed that Sharapova was running on adrenaline, as mentioned by herself during a post-match on-court interview with SuperTennis, during her quarterfinal win over Jelena Ostapenko. Fatigue could now be an issue, but the Russian has continuously proved everyone throughout the week as she has claimed three three-set wins in this week alone. However, Halep might prove to be too strong in this one.